For those of us who have traded with Bitcoin, transaction fees are nothing new. Actually, one of the most common questions in the crypto community is the one about the ideal transaction fees. Not too surprising. When making a transaction you should want to know how much that will actually disappear from your account. Furthermore, it is more or less human nature that you would want the extra fees to be as low as possible. An online shop with free shipping sounds more appealing than one with a ten dollar shipping, right? Batch your transactions to save time and money. So what is the reason behind the fluctuation of Bitcoin transactions? Being a free market, which is what generally defines Bitcoin, the transaction fees are also based on this principle, and more specifically, the current traffic on the blockchain. Bitcoin fees are basically the payment that miners will receive for their mining, which means that the more transactions in line, the more work for the miners and the higher fees. Furthermore, as miners of course want to get rewarded for the workload, they tend to give priority to the transactions that have higher fees. If there are many transactions at the same time and you don’t pay enough fees, then your transaction can be stuck for a long time before reaching the recipient. So, simply put, transaction fees are generally determined by the load on the blockchain, the ones who want their transactions going through as quickly as possible by paying higher fees, and the miners who prioritize these transactions with higher fees. Pretty much the same principle as the classic demand and supply curve. Sign and send multiple transactions at once. Nevertheless, as we mentioned before it is human nature to minimize extra costs. Just like with our cold storage solution, where we wanted to make it possible for everyone to store Bitcoin offline without expensive specialized hardware, we also thought about how we could make it cheaper for our users to trade their Bitcoins. At least, we wanted to give the users an option to pay lower fees while not having to wait for ages for their transaction to go through. That’s why we added the feature of transaction batching. In the crypto world, transactions are all about the space on the blockchain and hence, the more transactions that you batch into one, the less space each transaction will take and therefore the fees will be lower. Let’s say that one transaction takes up 245 bytes, then two would take up 490 bytes if sent separately. But if you batch these in one transaction, then they would together maybe take up 270 bytes. So, you save the fees equivalent to 220 bytes. A pretty good deal! Let’s now go back to what we said about that miners generally give priority to transactions with higher fees, and that you can choose your fee based on how fast you want the transaction to go through. How will you know what is an “acceptable” fee to add at the time when you want to make the transaction? Well, you could search the web for current fees and blockchain load, but that might be a bit inconvenient to do for every transaction. That’s why we added the function of smart fee estimation to help you with this. Then how does this function work? Press the send-button to start a new transaction. Add the address to which you wish to send coins, then add how much you’d like to send. You are now sent through to the next window, where your fee estimator will show. 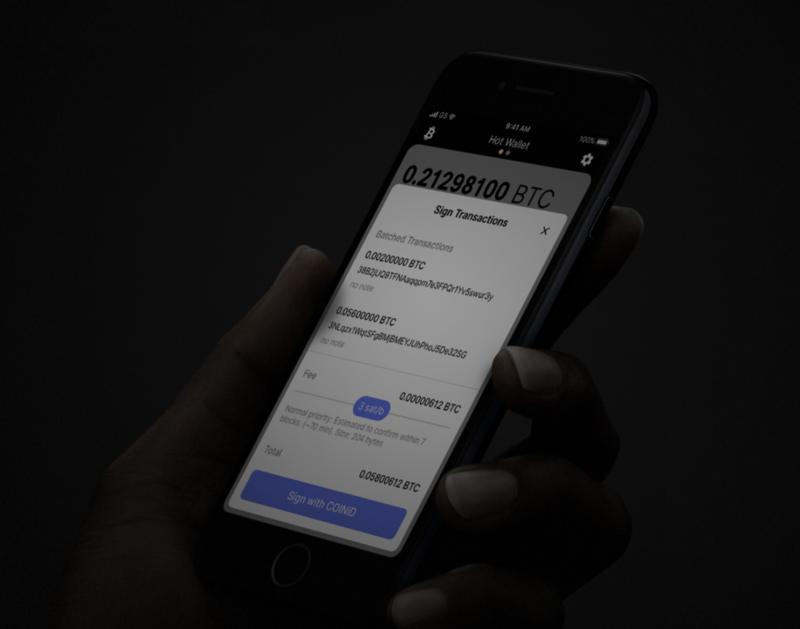 It will give you a suggested fee and show how many bytes your transaction will take and the approximate transaction time (how many blocks and minutes) for that specific fee. Now you can drag your way along the line to see what fee that approximately matches the number of blocks and time that you wish for your transaction. Higher fees, fewer blocks and vice versa. Batched transactions make it much easier! The smart fee estimation will in this way help you to not overpay any fees, as you might have been prepared to pay way more to make a fast transaction than what the application suggests that you actually have to pay. We of course made sure that it is always up to date, as we all know that the value of crypto is not the most stable there is. Transaction fees can feel like a pain at first, but something that you will get used to over time. There are ways in which you can minimize your fees, and transaction batching and smart fee estimation can really help you save some valuable coins. Because you know what they say: “A coin saved is a coin earned”. Or at least that’s what we hear.